Just when you thought it was safe to go outside we’re back with more 2019 Grand National Roadster Show coverage! 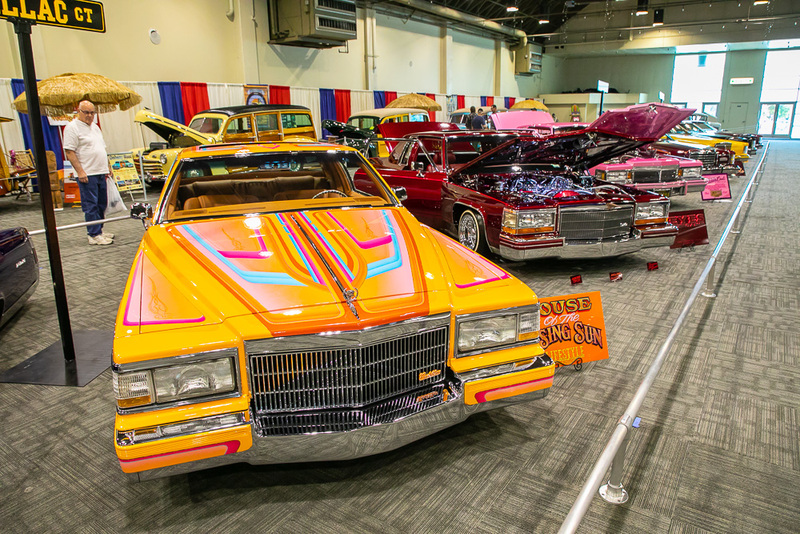 This load of photos has everything from hot rods to low riders in it and we think that you will dig them. Some people want to bag all over cars, they want to call them the ruination of the modern world, but the reality of the situation is that cars have united far more people and cultures than they have pulled apart. The cars in this particular show represent so many different cultures, families, and backgrounds it would make your head spin if you knew them all. No one at the Grand National Roadster show gave a damn what color the owner of a particular car was, what religion he practiced, or what language his parents spoke primarily. Nope, they checked out the cars, reveled in their craftsmanship, styling, and attitude and agreed to love ’em, respect ’em, or simply nod and move along. If the rest of life were only so easy. Day One PRO Winter Warm-Ups, NHRA Professionals Testing In Arizona! Deep-Sixed: Reviving A Submerged Lada From It's Six-Month Underwater Stay! I want to see a clear picture of whatever the hell that thing is behind the custom Merc, I think it’s the 57th image! Come ON! Show me! Show me! Show me!